AdColony, the mobile performance marketplace, announced that media industry veteran Matt Barash has rejoined AdColony as Head of Strategy and Business Development, along with the promotion of Camila Franklin to VP of Programmatic and Tom Simpson to VP of Brand & Exchange, APAC. 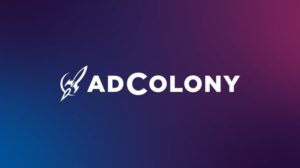 These announcements coincide with AdColony combining its programmatic private marketplace and open exchange expertise with its high-quality, first-party supply and SDK data to reinforce its hold as the No. 1 solution for high-quality, brand-safe and transparent mobile inventory. Leading the in-app mobile video advertising space for more than eight years, AdColony has an unparalleled level of SDK-derived data, unlike any other independent ad platform. This level of data combined with the new executive additions allows AdColony to continue to offer advertisers precise targeting, metrics and results. By promoting from within, AdColony is once again setting itself apart from its competition by using its internal expertise as an external differentiator.